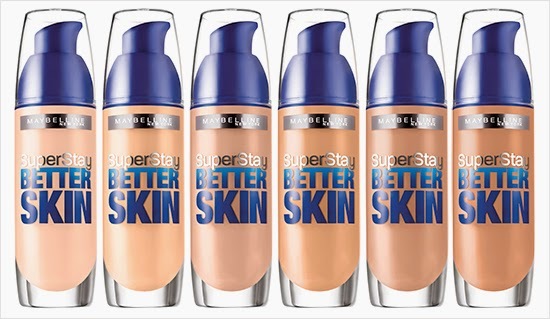 I always get so excited when Maybelline releases new foundations or concealers - they always create something innovative and I'm quite sure that Maybelline has the widest variety of foundations and concealers among other drugstore brands. I've used their Fit Me foundation and their Age Rewind concealer and I can certainly say I'm a fan of both. 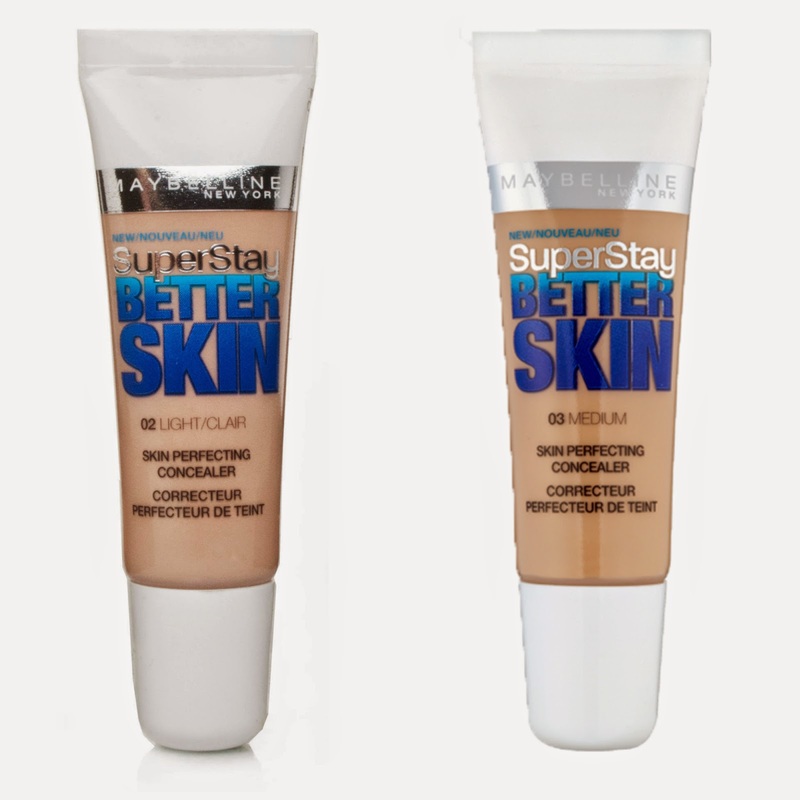 Maybelline released their Better Skin range a few months ago and I had my eyes set on it from day dot. Nuffnang (who are awesome by the way) had a product talk opportunity for this range and of course, I jumped straight onto it. Thanks to them, I've had the chance to trial both the foundation and concealer and now I'm ready to share my thoughts on them. As you can see, there isn't a very wide variety of shades and the majority of the lighter shades seem to have pink undertones. Depending on how lucky you are, it may or may not be difficult to find a perfect match. As seen above, my skin tone certainly looks more even and despite my blemishes still being visible on camera, they've been covered up nicely without appearing overdone or cakey. I can conclude that this foundation gives a light to medium coverage that can be buildable. It looks really natural on the face. It definitely felt lightweight with a very smooth texture. It felt comfortable to wear all day and it evened out complexion very well. With an SPF of 14, I find that it's quite standard for a foundation and I wouldn't expect any more than that. In fact I think it's better than none as a hint of sun protection in my foundation is reasonable. I can't comment on the claims of improving the skin since I haven't been wearing this everyday (I admit, I'm more of a BB cream-wearer) but if I do notice any changes, I'll be sure to update this post or leave a comment below. I like pump-bottle foundations, the product comes out faster compared to screw-top bottles where it needs to be poured out. It's especially good for those mornings/days where you're in a rush to do your makeup so it's easier to pump the foundation out a voila, you're good to go with application. I would recommend this for people who are looking for a foundation that gives a natural finish while still covering blemishes. I could see myself purchasing this however I do like to try different types of foundations as I never really stick to one brand! With only two shades in this range, it made it even more difficult to pick one which may sound odd but for someone who has light to medium skin, it's not an easy task! 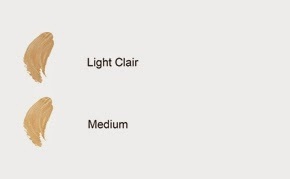 I would say that I'm a little more towards medium but I found this shade of medium to be too dark for me :( Light Clair probably would've suited me more however I was worried that it was going to be too light for me. Like I mentioned above, it wasn't the best match for my skin tone however I did manage to give it a try to test out its consistency and ability to conceal blemishes. 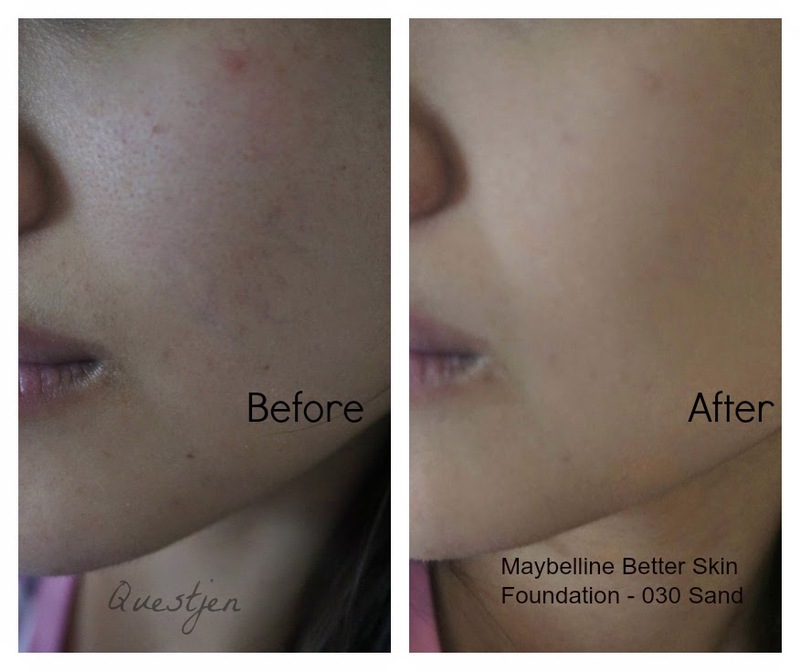 It felt very similar to the foundation but heavier in coverage by perfectly covering redness and spots. It still feels comfortable on the skin because only a small amount is needed to provide that extra coverage. Unfortunately I have no before and after pictures for this - you'll just have to take my word for it! I feel that the best way to apply this product is to use a small concealer/detailer brush by squeezing out a small amount of concealer and using the brush to swipe a tiny amount to then apply to areas that need concealing. Alternatively it can be patted on with fingers and blended in. When I first saw it I thought ooh, it looks just like a squeeze-tube lipgloss. I do like squeeze-tube packaging because that way, all of the product can be used. It's easy to open up the tube with a pair of scissors and scoop out the remnants. So that's that! Thanks again Nuffnang for this product talk opportunity, it's been a pleasure to test out and review these new products and share them on my blog. And I hope it's been an interesting/informative post for anyone reading this now! Do you have any foundations/concealers that you recommend? Disclaimer: Products were provided for consideration. This is not a sponsored review with monetary compensation, nor am I affiliated with the company mentioned in this post. All opinions stated by me are 100% honest and are free from bias. See more at http://www.questjen.com/p/disclaimer.html for full disclaimer. 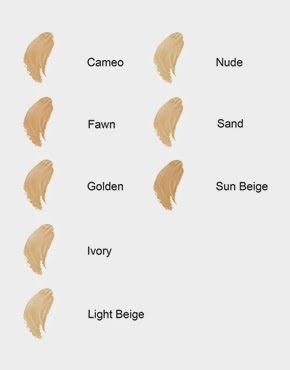 I actually find it incredibly difficult to match foundations etc :I and a lot of make up artists don't even do a good job at helping me since they go for the more "tanned look" which I don't like ;A; ergh. But I'm actually using the Maybelline FIT powder and it's a favourite so far :D :D so maybe I should have a look at their other foundations too!